Sea fishing Fort Lauderdale usually refers to saltwater fishing in the Atlantic Ocean off of Fort Lauderdale, Florida. 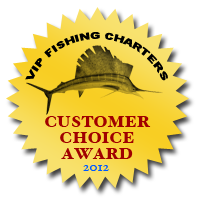 We offer sea fishing aboard our safe and comfortable sportfishing boats. Our fleet of Fort Lauderdale sea fishing boats are located throughout the Fort Lauderdale area, so chances are we have one of our charter boats located close to you. 15 - 20% gratuity for the crew is customary and is not included in the price. Additionally, live bait (if required) is not included and will be passed through at cost to the charterer.